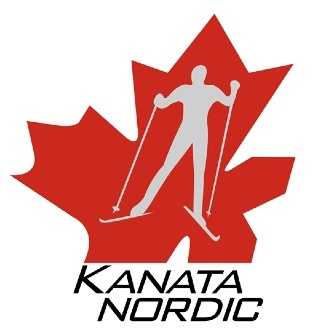 We offer adult ski programs for Kanata Nordic members (ages 14 and up) to learn to ski and/or to refine their skiing technique. The programs include: Adult Novice for those first learning to ski, Adult Intermediate for skiers with some experience, an intermediate level Touring program and a new Adult Masters program. All programs are taught by experienced and trained coaches. NOVICE PROGRAM Intended for beginners and those who have limited skiing experience and would like to build their confidence. Focused on classic technique – the skier skis in tracks and skis generally are parallel to each other. Registrants for the 5 week program should have some experience. Group size is limited to 12 skiers. Skiers should have the ability to stand on one foot and balance without other support for at least 3-4 seconds. Skiers should have the appropriate equipment. Please check out the following guide https://www.rei.com/learn/expert-advice/crosscountry-ski-touring-gear.html or go to a store that specializes in cross country skis. Seasonal rentals may also be available. Poorly fitting equipment can hamper technique. Use the terrain to your advantage to be an efficient skier – which technique for which terrain? INTERMEDIATE PROGRAM Intended for skiers who are comfortable on cross country skis but who may not have had any formal training. Focused on skate technique – the skier skis outside the tracks in a skating motion. Registrants for the 5 week program should have tried skating previously – athletic people without previous experience generally have success in the program as well. Group size is limited to 12 skiers. Skier should be able to glide on one ski for 2 – 3 seconds. Skiers should have skate ski equipment. Please check out the following guide https://www.rei.com/learn/expert-advice/crosscountry-ski-touring-gear.html or go to a store that specializes in cross country skis. Please do not register in this program if you do not have access to skate skis. ADULT TOURING The Adult Touring program is intended for intermediate skiers that are comfortable on cross country skis and skiing up and down hills. The sessions consist of recreational skiing over a variety of terrain mixed with instruction and pointers on classic and/or skating technique. The program is suited to couples, friends, and parents with older teen or adult children. Group size limited to 12. Ideally skiers should be familiar with both classic and skate technique. At a minimum, the skier should be comfortable in one of the techniques. Program Times: Saturday mornings meet at a location in Kanata at 8:30 to drive to various locations in Gatineau Park. The drive time will depend on location in the Park and weather conditions. Ski for two hours or earlier if participant has commitments (own transportation required in this case). Officially, the program starts January 5th and goes until March 9th. Snow conditions permitting the program could start earlier and continue into March if there is interest. ADVANCED ADULT FITNESS PROGRAM Intended for active adults (17 years and above) with cross country ski experience who have a love of the outdoors and are looking for a scheduled opportunity to ski with like minded Club Members. Drop in sessions will be Saturday mornings and Tuesday evenings and will consist largely of touring on different terrain and trails. Participation with this group will provide you with excellent aerobic training and possibly occasional feedback on technique from experienced skiers . The sessions’ organization will be informal and plans will be based on participant feedback. Generally, we will ski as a loose group with faster skiers circling back periodically to regroup. Reasonably regular participation is encouraged so that fitness levels across the group grow at a similar rate. Equipment: Classic & Skate is recommended. Sessions will typically be based on one technique; however, do not preclude someone skiing the technique of their choice. Participants should be capable of continuous Zone 1 activity (approx. 60% of maximum heart rate – can hold a conversation) for 60 – 90 minutes with limited breaks through activities such as cycling, cross country skiing, running, hiking etc. An appreciation that a good beer or a fine glass of wine can be part of post session recovery is an asset. Program Times: The On-Snow program will begin as soon as snow permits and continue until the snow permits (typically early April). Saturday morning: 8:30 a.m until 11:00 a.m. typically in Gatineau Park on various trails. We will explore various trails and areas of the Park. Saturday morning: 8:30 a.m until 11:00 a.m. typically in Gatineau Park on various trails. We will explore various trails and areas of the Park. Car pooling is encouraged. Events: Registration for organized events is always good motivation to join the regular ski sessions. Examples of events that may be of interest include: Canadian Ski Marathon, Gatineau Loppet, and local National Capital Division Races such as the Silver Spoon, Tay Valley Loppet, Thea’s Race, Opeongo Loppet. Program Cost: There is no program fee; however, participants should register through Zone 4. Registrants must be Club Members (includes Wesley Clover trail pass), and a Gatineau Park Ski Pass is recommended. In exchange for no program cost, participants are encouraged to volunteer to support our annual Pretzel Race and assist the Club in other ways. ADULT DROP-IN SESSIONS Intended for skiers with some experience who may wish to have some coaching and feedback on a specific technique. Skiers register for each session separately and generally each session will cover a separate topic/technique. Sessions are open to members and non-members and will be led by experienced coaches. Skiers should have some experience with the specific technique listed for the session. Experienced cross country skiers who may have limited experience with a specific technique are welcome in related sessions. Skiers should have appropriate equipment for the technique being covered at a session. For example, skate skis for a skate session, appropriate pole length for double poling, etc. Skiers should have an understanding of how to wax for classic technique. Email mikexcski@gmail.com to be added to a list for a specific session. Include “Drop in” and the session topic in the subject line of the email. Payment will be on-site for each session and participants must sign a waiver. Registration for each session will be limited to ten people and will be on a first come, first served basis. Note: Sessions may be rescheduled if conditions are not suitable. Refund / Cancellation Policy: Memberships fees are non-refundable. If you wish to withdraw from a program, we will refund the program fee less 20% retained to cover the club’s associated administration costs. To obtain a refund please contact registration@kanatanordic.ca by January 19, 2015. Please note that Kanata Nordic reserves the right to cancel any programs with insufficient registration or without volunteer leaders. In this case every effort will be made to find an equivalent program or a refund will be offered. Kanata Nordic programs are subject to the will of Mother Nature. We generally follow Cross Country Canada’s guidelines in terms of program cancellation. This means programs will be cancelled if conditions are unsafe or temperatures are below acceptable limits. We attempt to reschedule cancelled events but this is at the discretion of group leaders. The Club will attempt to give its members as much notice as possible for program changes caused by weather we thank you for your understanding.